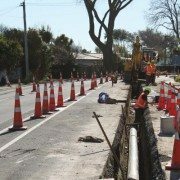 Read how City Care have maintained accurate and consistent estimating practices while dealing with the effects of a natural disaster that affected the Canterbury region of New Zealand. Programmed Facility Management (PFM), part of the Programmed group of companies, is one of Australia’s leading providers of facilities management services. They have recently engaged Benchmark Estimating to implement our estimating software system within their business to assist in the development of a consistent estimating methodology.